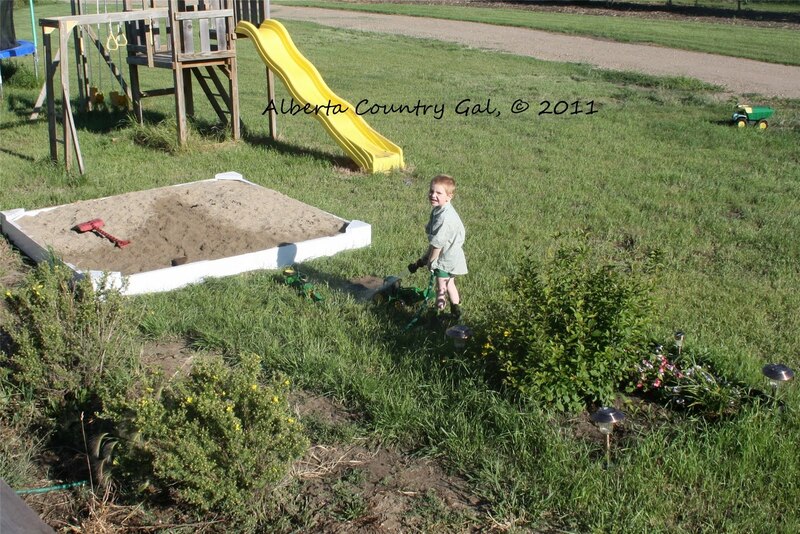 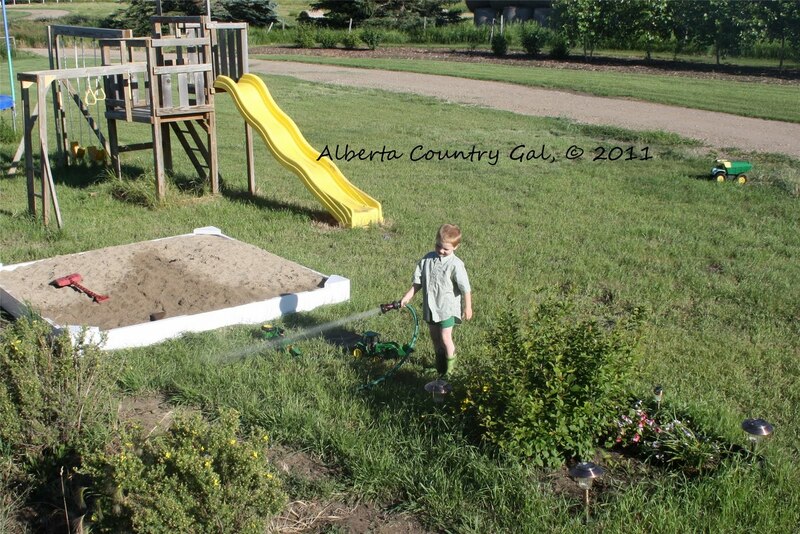 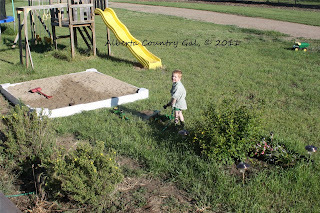 The other day, it was pretty hot here in my part of the world... My Son is a farm/rancher through and through, he has is own collection of John Deere Tractors that he has now decided that he wants them outside to play in the sand box. 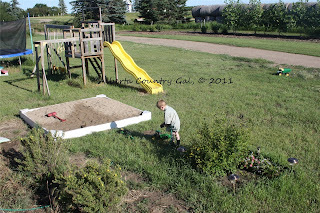 Well we have one rule, if it is outside, it has to come in Clean - NO SAND - as house cleaning i am not so every little bit helps keep it clean. 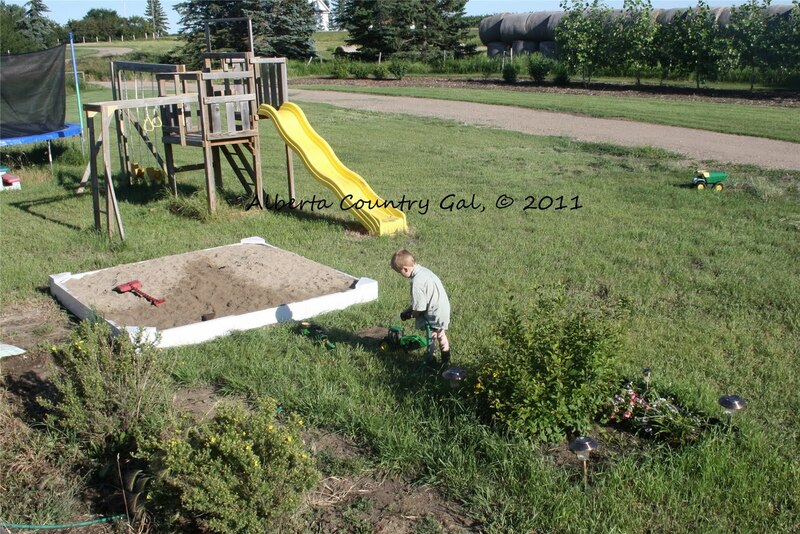 Anyways, these pictures are of my son, cleaning his toys and watering my trees and such, no point in wasting water.